Gold color. Aromas of dried citrus and mint, waxy orange blossom honeycomb, and grilled herb baguette with a chewy, lively, effervescent, dry-yet-fruity medium-full body and a warming, elegant, long spiced tropical fruits and melon, rapini, and pine needle finish. A brawny, chewy IIPA that will satisfy hop heads. 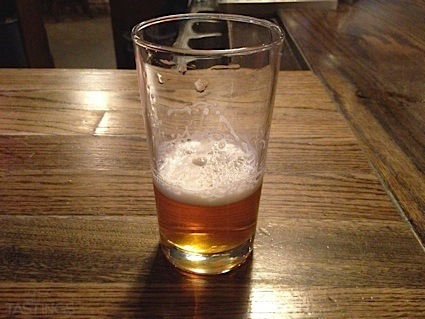 Bottom Line: A brawny, chewy IIPA that will satisfy hop heads. 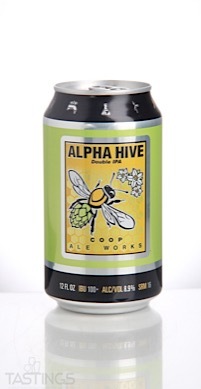 COOP Ale Works Alpha Hive Double IPA rating was calculated by tastings.com to be 92 points out of 100 on 3/30/2018. Please note that MSRP may have changed since the date of our review.